Copenhagen got off to a bad start. British Airways lost my sisterâ€™s bag. My sister is good at chucking tantrums so I thought there was going to be a nuclear melt down at the airport when she went to the baggage services desk. Her bag didnâ€™t make it on the plane and they couldnâ€™t tell her when it would arrive. She wasnâ€™t impressed about that. 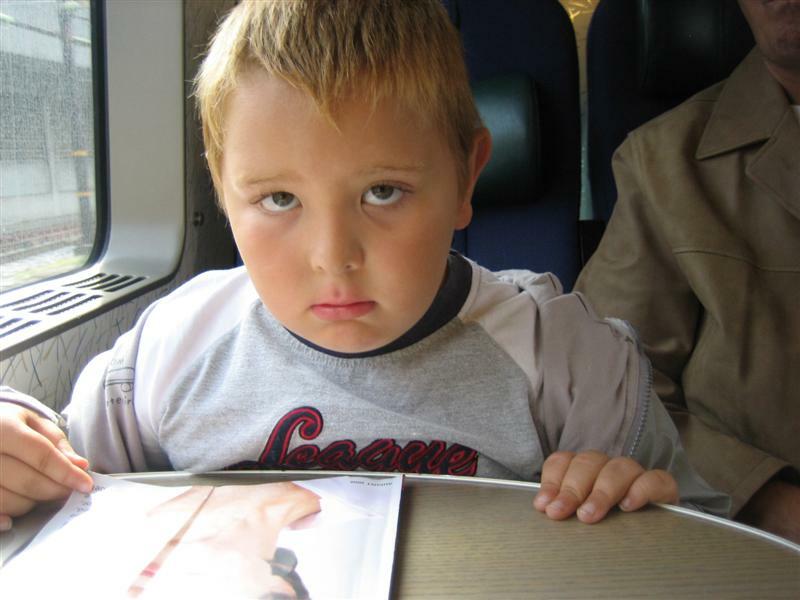 We headed for the hotel by train and on the train, this weird kid was seated in front of us with his Dad. My sister assumed he was a bit possessed and said he was a Damien (unless youâ€™ve see the movie Omen , it wonâ€™t make sense). We couldnâ€™t stop laughing and giggling. His faced didnâ€™t change once and he just kept looking at us. My sister pretended she was playing with the camera and managed to snap a photo of him. I’m sure he was a nice kid.